It was fortunate, unlike at present, all communities, namely, Sinhala, Tamil, Muslims, Burgers and Malays had unitedly struggled for independence and for building up one nation. They had built up this common platform, separated by religion, culture, language etc. The party which brought them under one umbrella had been the United National Party (UNP). It was ethnically a “super mix”. How did the deterioration between Sinhala-Tamil relations begin after the UNP government headed by the first Prime Minister D.S. Senanayake enacted two separate laws? The new leadership made an attempt to repatriate a section of plantation workers and to disenfranchise Indian Tamils in the Estate sector during 1948 -49 periods. In 1956, thereafter, SWRD Bandaranaike government introduced laws to make Sinhala language the official language. Governments thereafter had introduced reformist provisions such as “the reasonable use of Tamil language” in 1958, 1972 and 1978. Tamil has now been recognized as “an official language”. The first Governor-General, Sir Henry Monck Mason Moore, of independent Ceylon, had said that “Ceylon would prove the best bet in Asia”. Likewise, it had been the considered opinion of everybody that Ceylon had excellent prospects of achieving economic development in independent Sri Lanka. Consequently, by the time we had reached the fifties and sixties, our Nation had been far superior in our standards of education, literacy, health, mortality of women/children, transport etc., compared to even developed countries. What really happened thereafter? The nation had been worryingly at odds politically, socially, economically and even ethnically. Furthermore, leaders had failed to resolve governance and policymaking issues futuristically for the public good. They were in three sharply divided ends; the old-fashioned right, the communist-oriented left and on ethnic lines. Positive leaders, with a vision, supported by a strong organizational culture was seriously lacking. They did not walk the talk. Many of our leaders did not ensure that they are duty bound to build a strong, transparent, and well communicated governance mechanisms together with an emphasis on integrity, ethics and the other characteristics needed for organizational success. Let me briefly outline, how governance system deteriorated to the present level. The abolition of the independent Public Service Commission (PSC) was a major cause. The PSC was until then the appointing authority with vested powers for transfers, promotions, and disciplinary control over public officers. The 1972 Constitution strengthened the powers of the Cabinet of Ministers and paved the way for politicization of the public service. Public Service has finally become a virtual appendage manipulated by the politicians, since the introduction of the republican Constitution, with effect from 22nd May, 1972. Secondly, the establishment of the all-powerful presidential system, with an Executive President, elected by the people directly for a fixed term of five years (which was previously six years until the enactment of the 19th Amendment) too was a disaster. Executive President, constitutionally is the Head of State, the Head of the Executive and of the Government, and the Commander -in-Chief of the Armed Forces. Presidential system has run in to trouble. And what could we do to revive one of the oldest democracies in the world? In a top-heavy kleptocratic government, Executive President devalued the parliamentary system of governance. The country needs an Executive President who could rebuild our country. President Franklin D. Roosevelt on his inauguration day March 4, 1933 had told the that “they had nothing to fear but fear itself”. He had thereafter within hours embarked on what was considered to be the greatest 100 days programme in American Presidential history. President FDR had taken steps to enact 15 major laws, which were all designed to get people back to work by building federally funded infrastructure development projects. As President FDR had pledged during his election campaign, it had been a new deal for the American citizens. President FDR had said that the government had an obligation to its citizens. The country at the time President FDR had been elected, it was on the verge of a second civil war or a revolution. The new deal of FDR government had been designed to make sure that such a disaster never happened. It is said that in Roosevelt’s America, digging a drainage ditch was not just a job, all that had been considered the contribution of the work force to make America great. Building a school was not considered as an employment to find an income and they had considered that it was their contribution to the next generation to make America even better. Our politicians too had copied concepts like ‘100 days programme’ from America but failed to produce results to make Sri Lanka great. They have chosen to confine all that purely for rhetorical comments to hood-wink the masses. The proportional representation system introduced by the UNP with the promulgation of the 1978 Constitution too, has presently converted one of the oldest democracies to a distorted democracy – where rent-seeking politicians blatantly abuse power and form coalition governments purely for the benefit of the GOVERNORS AND NOT THE GOVERNED. This has finally led to produce deal-making coalition governments. All these has seriously affected running ethical, moral people friendly governments for the last few decades. As we have experienced, the 1978 Constitution paved the way for even worse governance – systemic and procedural problems. We have experienced instances of blatant disregard for constitutional requirements, violation of fundamental rights, neglect for universal norms of governance, most importantly the dream of the citizens to live in a democratic society, by the elected representatives themselves . All these deficiencies have finally eroded the governance system and created an inferno for the people. Furthermore, it has therefore become necessary to restore the institutional credibility, legitimacy, and respect of the people. Since 1970s, all successive governments reduced the allocation for education even below 2 and 3% of the GDP, only to pay teachers’ salaries and the cost of expansion in order to accommodate new admissions. Owing to this, quality of education had come down drastically. Education moulds people. Having cut down allocations for education they spend billions for luxury vehicles etc. The government during the last budget removed the ad-valorem calculation method of duty on luxury vehicles. How can a country progress when concessions are granted causing immense losses to the Government Treasury. ”To build a country, you need passion, if you just do your sums – plus, minus, debit, credit – you are a wash-out” – Lee Kuan Yew. Greg Sheridan in his book – “Tigers” says – “Lee has been a man of passions, of burning brilliant passions. He has been passionate about the big things: Singapore’s independence, communism in Indochina, benefits of a free-market economy. But he has also at times been passionate about amazingly trivial – about the lengths of young men’s hair, about the cleanliness of Singapore’s streets”. It is unbelievable how our leaders, mostly being Buddhists, had disregarded that individual development lies on both physical and spiritual attainments. Lord Buddha acknowledges that physical wellness is equally important as the mind because of their mutual interdependence. Lord Buddha had refused to preach to a hungry man to prove the fact that the economic factors are extremely important elements of spiritual welfare of people. Buddha had taught “hunger is the greatest disease”. I have seen people accuse that Sinhala Buddhists are people who are worse than animals. Ven. Dr. Rahula, one of the greatest well-known scholars of international repute quoting a Buddhist Sutta had mentioned that “One of the causes of immorality and crime is poverty”. And that applies to all communities. In my view, it is what these rulers have created over the last few decades by depriving people of their basic needs. We should therefore unite to fight the common enemy – the rent seeking corrupt politicians. The Constitution of Ceylon (Sessional Paper III – 1948) I quote – Article 20 (Quorum) “fewer than twenty members present, the person presiding shall …adjourn the sitting without question put”, if in case the quorum is not present. This was the practice we had observed since time immemorial, when they had less than even half the number in the present parliament. There has been no change at all in regard to the quorum since independence. They have amended all the other laws etc., if the rules introduced by the British were not favourable to them. There has been two Constitutions replaced in 1972 and 1978 and this is one about QUORUM, which remains unchanged. In countries like Netherlands, one of the most important rules is that they cannot start the proceedings of the House until “half of the members plus one are present”. In Sri Lank, we have adjourned sittings, committee meetings for want of quorum, on endless occasions, which no doubt is a disgrace. There is also a scandalous practice among shameful parliamentarians, that with the mutual agreement of both opposition and government, they do not raise the issue of “NO QUORUM”, to suit the convenience of our corrupt legislators. Is this the way how they conduct business in the supreme legislature? These are practices which are totally irregular. May I request that we must raise our voice that the quorum should be raised to match with countries like Netherlands. In Netherlands, when they enter the building they sign the roll and when the required number is present only the sittings can be officially begin. If in case, this practice is introduced, I have no wonder the country will learn to observe punctuality and not otherwise. Devolution of political and administrative power to the provincial level, since the enactment of the 13th Amendment, in 1987, involves the establishment of nine elected bodies in the form of nine Provincial Councils, with devolved powers, contained in three different lists: (1) Provincial Council List (2) Reserved List and (3) Concurrent list. The local government institutions, as a devolved subject, thereafter, came under the Provincial government system. The notorious 14th Amendment (1988), paved the way to nominate defeated candidates from the back-door, in the guise of bringing in educated people to the parliament, by the JRJ government. After having established provincial councils, the next best step could have been the reduction of the number of parliamentarians. My argument is that composition of parliament should never have been increased, from 196 to 225, having devolved power to the provinces. It should only have been decreased – the right step to bring it down to at least to 125 elected representatives. In addition, the bureaucracy too is extremely large, exorbitantly costly, and immensely wasteful. It is totally inefficient and ineffective. It is important to achieve excellence in governance and encourage all public sector employees to take responsibility for issues within their control and to actively deal with the matters as they arise at the centre, the provinces and at the grass-root level. It however could be seen that instead of decentralization there appears to be centralization because our politicians are greedy for power. Our political leaders do not address the burning issues appropriately to increase better service delivery at all levels. Nevertheless, according to a report issued by the Steering Committee on Local and Regional Democracy, CDLR, Council of Europe, a policy has been introduced for implementation that anyone having suffered unjustified damage, as a result of act or omission of local elected representatives, has the right to sue the local authority and receive full and rapid compensation. At the last local government elections, (336 local government institutions: 23 M/Cs, 41 UCs, 272 P/Ss) the composition of members had been raised from 4486 to 8825 at a huge cost over 2 billion for a year. 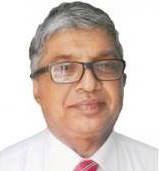 The Report of the Administrative Committee in 1996 had stated that the Sri Lankan cadre system was far beyond the reasonable requirement for efficient government operation. I am certain that these corrupt politicos will never introduce reforms to uplift the public sector institutions. It is indeed a great tragedy. From time to time, we get ‘know all’s or ‘siyalla dath’. This is the latest. There is no agreement that no quorum will not be raised. That agreement is only during the Committee stage debates on the budget. Tamil has now been recognized as an “Official Language”. Yes on paper. but can you transact business in Tamil in government Departments, Police stations, Post Offices Government Hospitals beyond south of Vavuniya and Polonaruwa. Even in the Jaffna Police stations, it is difficult to make an entry in Tamil I understand.. Invariably when you conduct business in Tamil, the documents take a long time to be attended to or never attended at all. For fear of non attention Tamils are reluctant to conduct their business freely in Tamil. You must be a Tamil to feel the pinch as it is difficult for a Sinhalese to understand this due to no fault of theirs.. It is good to show the world Tamil is an official language but in practice? Blame racist Vellala politicians who did not allow Demala people to learn Sinhala. Even now they do that. I know a school in Yapanaya meant for low caste people that requested NPC to recruit a teacher to teach Sinhala. Instead of recruiting a teacher to teach Sinhala, NPC politicians had threaten the Principal for making that request. Vellala politicians are the real enemy of ordinary Demala people, not Sinhalayo. Those Demala people who moved to South and learned Sinhala are doing well. Blame should go to sinhaal leaders as well and not forgetting sinahalyas not to have learnt Tamil. In Switzerland albeit just 7 millions, should all learn several langauges form the begining on. That is the same also in several countries where various other ethinic groups live together. I wish I could have learnt Tamil. Then we could exchange a lot with them than today. The day ANICHCHAWATHA sankara would be sung is nearing to you Mahinda pala, YOU finally need to be be away from your hatreds towards srilankens. We are all srilankens regardless of our race, religion or what ever other barriers. Yes. I agree. It is all because the politicians all shades are practicing deceitfulness. I believe politics should not be left in the hands of politicians alone. The Lankan version of ‘democracy’ evolved over the last seventy odd years is tailor-made to benefit only a handful of ‘elites’. The Executive Presidency needs urgent reevaluation but our leaders are nonchalant. Lacille de Silva: This is but one of our problems. Before the 70 years, over the last 500 years, it was tailor made to benefit a handful of Portuguese, Dutch and British Jews and Scottish and even Irish fortune seeking vandals. So we are better off today, aren’t we bogus ‘Pillai’, or do you want us to still keep making your Jewish predecessors from Belgium happy? Why is that Gibraltar which is mostly Spanish don’t want the British to leave? Hong Kong, Falklands …….. likewise. And why do Lankans always end up in …………..
Just for a minute stand back from what you are writing and think ………. is there a single Lankan who understand the modern-world? Do you in your right mind think that Mahinda has a clue about what he is doing or needs to do? Do you think Ranil? Our unique Sinhala -Buddhist-ness stupor, like gravity is holding us back – perhaps, Tamil-Hindu-ness, and Muslim-ness as well. 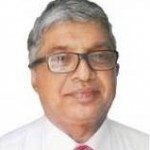 We are bogged-down knee-deep in some mind-numbing stupor …….. whatever you write Lankans will agree with you wholeheartedly and go and think and do the same things they are accustomed to. Nothing will ever change. I don’t think Singapore is the best thing since sliced-bread but they have people who are attuned to the modern world. Now Lacille tell me one Lankan, just one ……… who knows these things ……… let alone someone capable of thinking on those modes? Mahinda? Ranil? Mangala? Ravi? Basil? Gota? Indrajith? Cabraal? Sajith? Namal? Lacille let me tell you something that your gold plated education has not thought you …………. Monkeys can’t run modern economies; however much they pretend to try. They are only good at stealing food from each other. Monkey Business. And it’s right in front of our eyes ……… if you only open your eyes and look. The bitter truth Lacille, if you can handle it …….. the modern-world and the Lankans are oceans apart. Sirisena/Ranil got 6.5 million votes ……… Mahinda got 5.5 million votes ………. rejoice, the Hanuman brigades are divided right down the middle for the next great battle of Ramayana. It is fradulent constitutions from amendment 1 to 19.which screwed up parliamentary system, electoral democracy that would increase the number of thieves and would provide safe heavens to thier friend and to extended families. No polint of discussing. MS is not as corrupt as either Ranil or Rajapakses are. Other than that all 225 steal from the public and have destoryed the country for the last 70 years. SUPERB. But Bro you and me , have been screaming into deaf ears of Retarded Lankans, all these years. all most all Sinhalese leaders are greedy for power. They do not care about the country and people. they put their family, their interest above all national interest. It is very much clear since time of late President Premadasa. Nimal Fernando on this I have to agree with you. How can a country which boast of higher literacy rate, people who have gone abroad and made history , people left shores as early as in fifties to earn higher education and degrees, have now ended up miles apart from the current world (reality). My answer is the Psyche of the nation/people muddled with religion/race, which the politicians recognized very early to exploit to their self gain. Years and years of classical conditioning has now cloned the public into pavlov,s models. In theory it is impossible to think of a whole country being conditioned over generations. But then again that is what makes us a “country with people like no other”. One reason for deterioration is the formation of separate Tamil, Muslim & Plantation political parties. Instead of restricting people of all nationalities should only join and contest through main stream political parties or as Independent candidates, today there are over 100 political parties registered.